While Scrum, XP, DSDM, Lean Software Development and other Agile methodologies have caught on in the software development industry, many organizations see achieving agility in project management as problematic, to a certain extent. For those organizations, the traditional project management approach appears to be most effective in managing long-range business plans and creating enterprise-level forecasts. However, at the team level the traditional approach fails as it doesn’t allow the development team to react to rapidly changing circumstances in the project environment and to align with client requirements. In contrast, Agile-driven projects are enabled to effective and efficiently manage changes through iterative product development. Success of agile project management greatly depends on the approach to requirements specification which includes several best practices. The agile approach promotes a highly iterative, collaborative environment in which the team, project manager and senior stakeholders enjoy flexibility in addressing any inherent risks associated with managing requirements. An interesting feature of this approach is that a change to project requirements can be turned into a competitive advantage later on, as compared to the traditional approach which doesn’t ensure adaptability to the changing environment. In this article, I write about 5 best practices for managing requirements in agile projects. Buying right PM (the acronym for “project management“) software for your organization can be challenging and even frustrating as there are hundreds of options, and you have to take a long journey to explore those options in order to find the perfect solution that best fits the needs of your company’s project management environment. But before you give up and stop your search, take a look at the following below 6 steps that will help you find, evaluate and buy right PM software for your business. Many software implementation projects failed because they were over budget, overdue, misled, poorly defined, or a combination thereof. IT investment statistics shows that over 80% of software implementation projects are unsuccessful, poorly executed, or canceled before completion. Meanwhile, there are several best practices that can help prevent all those failures and fight poor project management. 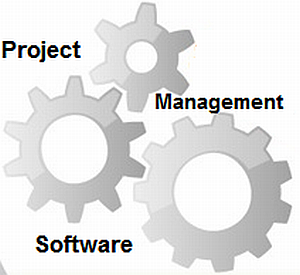 In this article I’m going to write about 6 best practices for managing software implementation projects. The items I describe here will help you keep your IT projects profitable and gain an acceptable ROI. When a business organization decides whether or not to invest in a kind of technology innovation project, the first thing this organization needs to consider is the business value that can be delivered with this project. In such situations, a business case can be used as a framework for measuring business value and profitability of IT investment opportunities in terms of ROI (Return on Investment). In this article you will find out how to develop a business case for an IT investment project. Here we describe a 7-step approach to writing IT investment business case.